Despite the unemployment rate in Nigeria, It’s understandable that as a high or secondary school leaver, the next interface of call will be university or college, with the theory that getting a degree will keep you in good stead when getting close to potential employers. Of course, after graduating, a job in the field you have studied for 4 to 5 years will be the key target, however, statistics show that gaining employment for university graduates – even though holding a Master’s degree, definitely not guarantees you will be in a position to find a good low skilled job, such is the demand for ‘experience’ currently. Apart from the lack of available jobs in Nigeria, one of the key problems about graduates unemployment is apparently lack of work experience, both in graduates’ chosen field of studies and when applying for higher paid careers in other areas of studies . 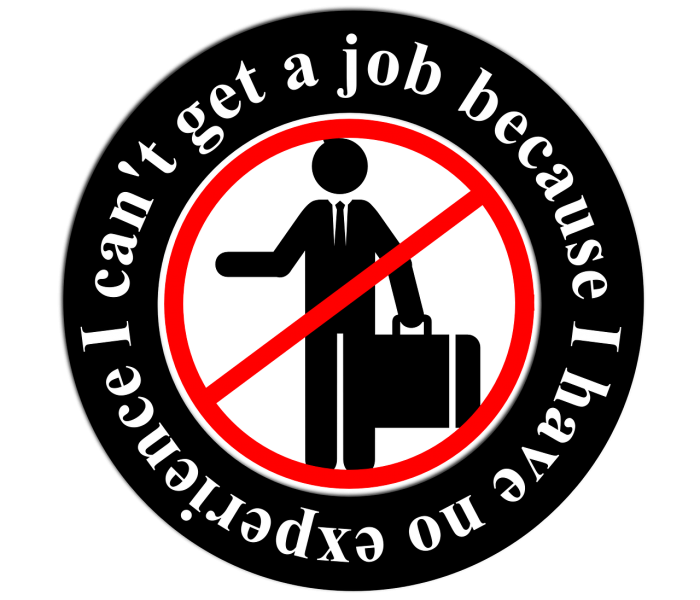 Check Out: Problem With Fresh Graduates Not Getting Job Faster: How to Fix It! Unemployment rate in Nigeria: What does this mean to you? As reported by Trading Economics, unemployment Rate in Nigeria increased to 10.40 percent in the fourth quarter of 2015 from 9.90 percent in the previous period. The number of unemployed persons went up by 518 thousand to 8 million and labour force population rose by 1 million to 76.95 million. The underemployment rate grew to 18.7 percent (14.4 million), compared to 17.4 percent (13.2 million). Unemployment Rate in Nigeria averaged 8.85 percent from 2006 until 2015, reaching an all time high of 19.70 percent in the fourth quarter of 2009 and a record low of 5.10 percent in the fourth quarter of 2010. Unemployment Rate in Nigeria is reported by the National Bureau of Statistics, Nigeria. As graduate unemployment rate in Nigeria soars, report has revealed that graduates in this country no longer see their future in conventional salaried employment, but rather in self-employment. That is a cliche, however the simple fact remains, it holds true, now more than ever. Considering that according to research in 2012, greater than a third of most jobs for new graduates are taken by those people who have had previous work experience with this company, the answer is evident – internships. The known fact is, organizations want experience, and especially experience that concerns their company such as would be gained through internship with them. With applications increasing, competition is stiffer than ever before. If you really know what you want and in reality, in case you don’t, you will need work experience and you need it now, at the earliest opportunity to be able to greatly boost your chances of getting your dream job in your chosen field. No longer can you really find job on the back of your first-class degree or high scores. Related: What Are Employers Looking For? There are various companies that accepts students for an internship that’s right for them, and these companies can certainly be found here. However, be aware that in some instances, you may be asked to involve some form of aptitude test and interview to be able to be eligible for the internship in store. This should be considered a time when you garner the maximum amount of experience as is possible, both work and otherwise, such as volunteering or helping run the family business. Try to procure a wholesome dose of experience in this era so when you graduate from university, getting a job should be considered an easier process for you as all potential employers prefer experienced graduates. Keep in mind, 1 / 3 of graduate jobs were taken by those who ‘already’ acquired experience with the employer! Even though you didn’t have the ability to gain work experience via an internship and now find yourself within an unemployment wasteland when you have left university, lower your expectations – for some time. You make feel (and frankly be) overqualified for many low skill jobs. But you have to start somewhere. Or, as Lao Tzu famously said, “The journey of a thousand miles begins with one step”. After getting gained skills like customer support, communication, problem and teamwork solving, your likelihood of getting your dream job that you want should have increase greatly. Why wait though. Get the knowledge you need and prevent the stress a large number of others are experiencing now. Let me know if you have any ideas about unemployment rate in Nigeria too. 🙂 Any comments is greatly appreciated. Pingback:Should You Apply for a Job When You Don't Meet all the Qualifications?